Who said trees are exclusive to Christmas?! We've noticed Halloween trees popping up more and more the last few years, and we have to say, we're screaming with delight over it! Whether your decorating style preference is silly, chic or seriously spooky, Halloween trees are so easy to customize; you can go as large or small as you want, any way you want - ornaments, paint, glitter - skeletons, gore, goop - you get the point. 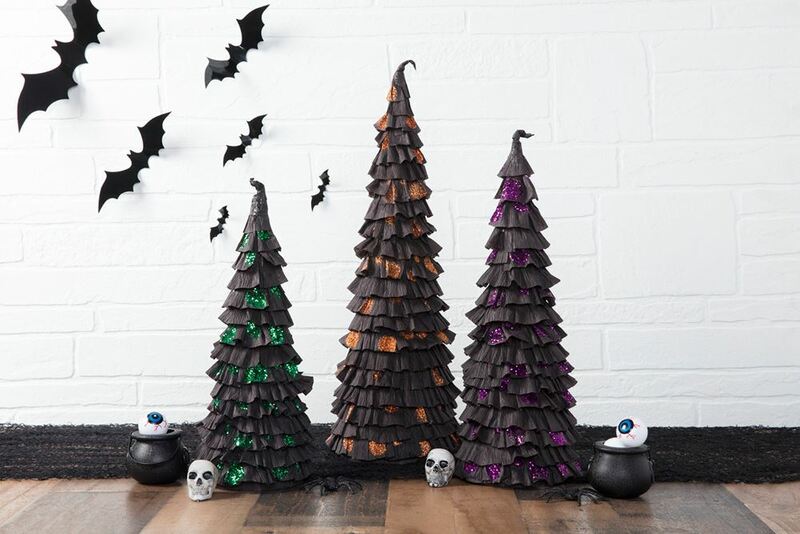 These crepe paper trees are perfect for a fireplace mantle or a party table centerpiece - because who doesn't love Halloween parties - and can be altered with whatever colors of paper you prefer (although we think black adds awesomely enchanting effects). 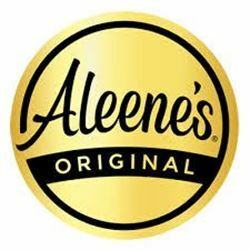 Read on for instructions then grab a bottle of Aleene's Clear Gel Tacky Glue and get started! Roll poster board into desired size cone and secure with masking tape. Use scissors to trim bottom of cone to stand flat. Lay streamers out flat on work surface and use pouncer to apply dots of Clear Gel Tacky Glue randomly to several long strips. Sprinkle glitter over dots of glue and allow to dry. Shake off excess glitter. Starting at bottom of cone, apply a line of Clear Gel Tacky Glue around base and press glittered streamer onto glue line, pleating as you continue around cone. Repeat above step until cone is covered with streamers. Generously apply Clear Gel Tacky Glue to a small strip of streamer and mold onto top of tree to form a tip. Allow to dry.